Becoming a Certified Public Accountant in Connecticut requires you to adhere to some stringent requirements with education, taking the exam and with continuing education to maintain your licensure. Follow our guide on becoming a CPA and we break down the requirements step by step. 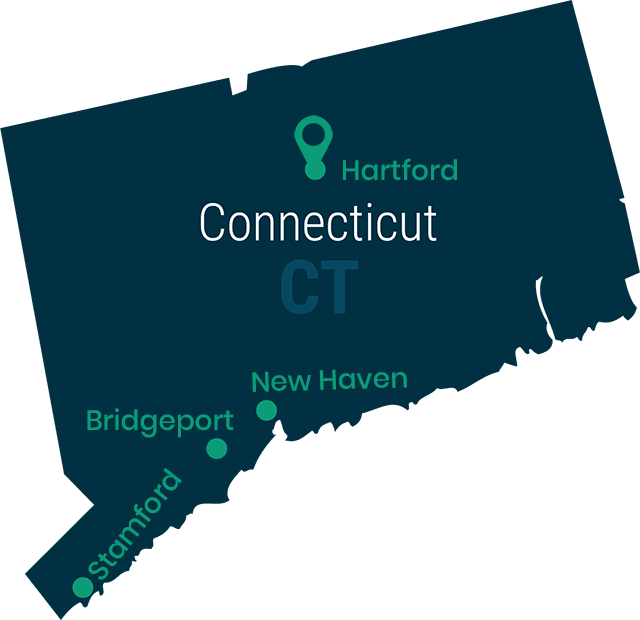 The Connecticut State Board of Accountancy only accepts accounting degree credits from institutions that are accredited by a Council for Higher Education Accreditation Regional Accrediting Organization. It’s important that you confirm that the university you’re attending, or planning to attend, is accredited. If you’ve received your accounting education outside of the United States, your credit information must be evaluated by a National Association of Credential Evaluation Services member organization. Pick and send your transcripts to one of the approved services. Online degrees are acceptable, as long as the university is accredited. Pass / fail grades meet the education requirement as long as the grade is passing. Credits earned from a Connecticut Community College satisfy the requirement. Credits earned through the College-Level Examination Program satisfy the requirement. If you have questions regarding the CPA education requirements, you can email DCP.licenseservices@ct.gov. At least 36 semester hours in accounting courses. These courses must be designated as accounting specific in your institution’s course offerings.Acceptable listings are typically notated as ACC or ACCT courses. At least 30 semester hours of economics or business courses other than accounting. Course descriptions will be required in order to determine relevance to economics or business. It’s important to note that advertising, retail, and insurance courses generally do not satisfy this requirement. At least 60 semester hours of general education courses. These credits can include any additional accounting, business, or economics courses beyond the above-mentioned requirements. 24 semester hours in accounting. These courses must be designated as accounting specific and are typically notated by ACC or ACCT. At least one business law course. At least one economics course. At least one finance course. If you’re unsure whether you’ve taken or are taking the right courses, make sure you speak with an academic advisor. He or she will be able to help you determine your current or future eligibility. CPA examination fee for each section you intend to take. You can apply for as many examination sections as you want. Official transcript from each of the schools listed on your application. Please note that these transcripts must be sent directly from your institution to CPAES. International education evaluation if you received your education outside of the United States. Evaluations must be sent directly from your selected service to CPAES. A Testing Accommodations Request Form, if applicable. Applications generally take four to six weeks to process. Once your application has been approved, you will receive a Notice to Schedule (NTS) from the National Association of State Boards of Accountancy (NASBA). Your NTS will instruct you to schedule your examination through Prometric, a technology-enabled testing and assessment provider. Testing locations include Hamden, Glastonbury, and Norwalk. Keep in mind that Prometric charges an exam service fee. Remember that your NTS does expire. Your NTS is valid for a single testing for each section you’ve been approved to take, but it must be used within a six month period. Failing to complete your exam sections by the deadline does not entitle you to a refund and you will have to reapply for the examination. Check that your name is spelled accurately as soon as your NIT arrives. Schedule your Uniform CPA Exam as soon as possible and always have backup dates in mind. Schedule you exam at least 10 days in advance if you require and have been approved for testing accommodations. Each of the four sections of the Uniform CPA Examination requires four hours to complete. Take the necessary steps to ensure you’re ready for testing by your exam date. Don’t forget to take your NIT with you on the day of your examination, as it’s required to enter testing centers. You’ll also need two forms of identification, one of which must contain a recent photo. Once you’ve completed the Uniform CPA Examination, your responses are sent to AICPA for scoring. You should receive them in the mail once your exam has been assessed. Connecticut CPA candidates must also successfully complete the AICPA Professional Ethics for CPAs self-study course. The course can be taken in paper format or online and you’ll need a score of 90% or higher to pass. To qualify for a CPA license in Connecticut, you are required to have a minimum of two years professional experience working for a public practice, government practice, or industry. Competencies gained will vary depending on the type of work experience you choose. Your work experience must be confirmed by a supervising CPA who has held his or her certification for at least three years using the CPA Certificate Experience Verification SBA-12 form. You can apply for your initial CPA license by downloading the application and sending it to the State of Connecticut Department of Consumer Protection Board of Accountancy via mail. A check made payable to the “Treasurer, State of CT” totaling $150 to $300, depending on the type of credentials you’re applying for, is also required. 40 CPE credits, including 16 hours in attest or compilation services. Report your CPE hours to the Connecticut State Board of Accountancy when you renew your license. Keep all CPE records for at least three years.